It is Thanksgiving Day 2004. My son, Luke, and I rise before dawn to spend the morning hunting whitetail deer. Hunting deer or elk on Thanksgiving morning has been a family tradition as long as I can remember. Luke is eager to join me even though he is a year away from being old enough to buy a license and carry a rifle. My son, Ben, is in his senior year of high school and wants to sleep in a bit. So Luke and I head for the Dry Creek area north of Belgrade, Montana. The Dry Creek Road transitions from pavement to gravel where the Gallatin Valley floor gives way to the foothills at the base of the Bridger Mountains. We turn off onto a side gravel road and drive past a grain field which sits below the butte we want to hunt. I park my truck at the side of the road, and we close the doors quietly. Six years ago, my dad and I just missed getting off a shot at a big buck on the hill on the opposite side of the little creek we will need to cross. I tell Luke this story before we get out of the truck, urging him to be as quiet as possible. We cross a barbed-wire fence and prepare to sneak through the tall grass towards a plank that bridges the little creek. Six steps after we cross the fence, Luke whispers, “Dad, there’s a buck!” Sure enough, a 4×4 whitetail peers at us from across the creek, about ninety yards away. We are five minutes into legal shooting light, so I aim, fire, and drop the buck in its tracks. This is the easiest deer hunt I have ever had! Luke helps me field dress the buck, and then we drag it to the truck, the length of a football field away. It is now 7:55 a.m. We arrive home fifteen minutes later and hang the buck in our garage. I prefer to let a deer hang for a day before skinning it. By the time we finish this, it is only 8:30 a.m. An idea begins to take shape. It is a rather warm day. Already, the temperature has risen past forty degrees. We have four or five hours to kill before we gather with some friends for Thanksgiving dinner. So, why not spend it fly fishing! Ben is up by this time, and he joins Luke and me in search for our waders, fly fishing vests, and fly rods. By 9:30 a.m., we reach the Warm Springs parking area on the Madison River where it exits the Bear Trap Canyon. Predictably, no one is parked here today. We enjoy the warmth of the sun as we walk in the trail. There is a bit of wind, but the conditions are pleasant. So is the fishing. It would be an exaggeration to say that we slaughtered the trout on this day, but in the next two hours at our favorite spot, affectionately known as “Rainbow Run,” we each land three trout. One of mine is a seventeen-inch rainbow, which I catch on a San Juan worm. This is the easiest fly in the world to tie. You simply tie the middle of a piece of red chenille to the shank of the hook Then, you burn off each end with a lighter or a match to make the ends bead. It may be simple to tie, but it is effective. The wind picks up about 11:30 a.m., so we begin the twenty minute hike to the parking lot, then make the forty minute drive home. By 12:30 p.m. on Thanksgiving day, I have accomplished something I have never done before. I’ve taken a nice whitetail buck and caught a seventeen-inch rainbow with my fly rod on the same morning. It’s a Thanksgiving Day double! I don’t recall the Pilgrims doing anything like this on the morning before they sat down with members of the Wampanoag tribe at Plymouth Plantation to eat the first Thanksgiving Day meal. 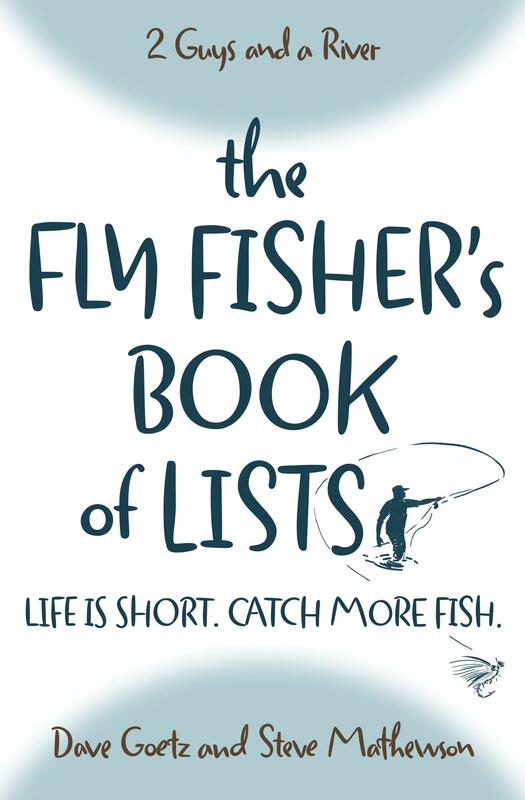 If you spend enough time fly fishing, you’ll have days that humble you and some that elate you. You’ll even have some that are crazy enough to provide a deep sense of satisfaction. I remember that day very vividly. One of my favorite Thanksgiving mornings…even though I skipped out on the early hunt!